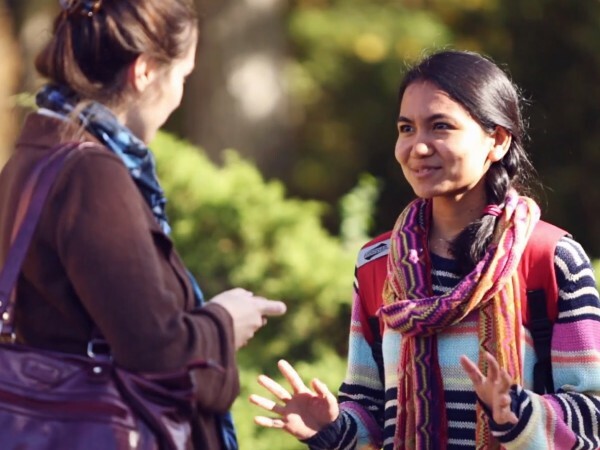 Through its curriculum of liberal arts and sciences and pre-professional programs, Stonehill College provides international students with an education of the highest caliber that fosters critical thinking, the interchange of ideas as well as the practical and cultural experiences needed to succeed here and around the world. The entire community at Stonehill collaborates to help you develop the knowledge, skills and character you need to meet your life goals and to live a life of purpose and integrity. You get the support you need to be confident in what you do and the challenging environment you need to achieve your full potential. An active community situated on 384 beautiful acres only 22 miles (35 kilometers) from Boston, Stonehill offers 39 majors and 49 minors in the humanities, natural and social sciences, business, education and pre-professional advising programs. We are a Catholic college affiliated with the University of Notre Dame through our shared roots in the Congregation of Holy Cross. Our focus on educating the whole person helps inspire students to pursue serious academic inquiry, make meaningful choices and serve others. A Stonehill education is a profound value for the investment. Our students graduate with jobs at well above the national average and benefit from a liberal arts foundation that gives them the intellectual flexibility to take advantage opportunities that may turn them in an entirely new direction.